In discussing our five year plan, Seth and I have come to the agreement that travel is very important to us. We want our girls to experience other places and learn everything they can about the world. I realize that Disney isn't the learning experience mecca, but it's a great place to start the learning how to travel process. Plus, it's the happiest place on Earth right? I have to admit I was petrified of this trip. Excited, but petrified. Places like Disney mean long days and tired/possibly grumpy little princesses. But, this trip sort of came about for other reasons, so I went with it. I am beyond thrilled that I did. Yes, they were tired a lot. Sometimes they were grumpy. BUT, the four of us had so much fun it didn't matter. Here is the least detailed post about the most on the fly trip to Disney ever. * Buy the book titled The Unofficial Guide to Walt Disney World With Kids. Even if you aren't doing every park it is more than helpful. And, it includes information about Sea World. * Bring a stroller. I even saw 8 and 9 year olds in rented park strollers. Lila hasn't ridden in a stroller in years, but it helped us to get around the park quickly and saved her energy. Plus, Evie slept in it when needed. I believe renting a stroller is $30 a day at least. * Download an app that tells you the wait times for the rides. You can try to plan out your day, but once you get there it really depends on the crowds. We used the Disney World Wait Times free app. *If you are able, bring your own food. Sea World only let's you bring in small snacks, but Disney let's you bring in an entire meal if you want. Between our camelbak backpack, extra water bottle, and packed lunch I believe we only bought ice cream in the Magic Kingdom during the day. It's so worth it. * Tell your kid(s) that on the last day they can pick ONE item to buy. There are stores and stuff everywhere with things that just scream at little children to be begged for. Evie didn't seem to notice or care, but Lila did. I told her from the beginning that we would pick one item at the end to buy for each of them. A friend suggested taking a picture with your phone of each item they say they want and then showing it to them at the end and picking one. Lila was really okay with just waiting until the end to pick something out. *Keep in mind that our daughters are four and two. 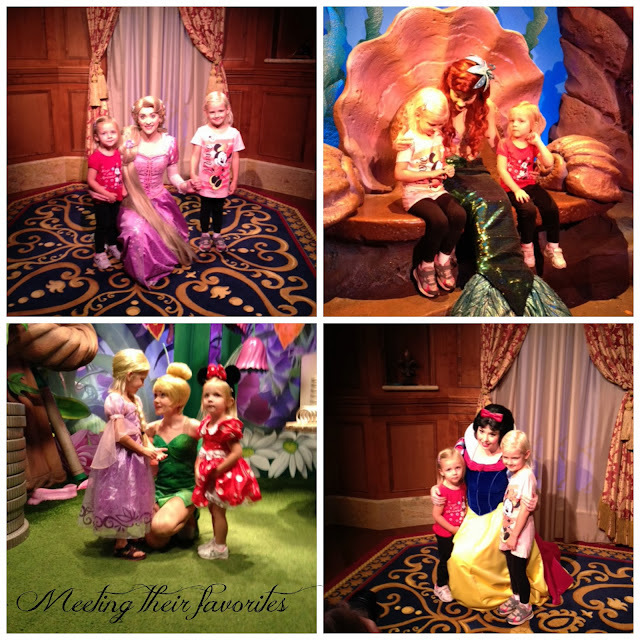 Much of what Disney has to offer in a short trip for small kids resides in the Magic Kingdom. We chose Sea World over The Animal Kingdom because we did The Animal Kingdom with Lila when she was two. You could easily switch out one for the other. The Shamu/orca show was half really great and half just watching people in the audience get splashed. It's funny, but our kids zoned out at the splashing point. We did some other animal viewing where we saw sea turtles, manatees, sharks, and baby crocodiles similar to what you would see at an aquarium. There was even a roller coaster that we all went on! Evie loved it even though Seth had to pretty much talk me into letting her ride it. Overall, Sea World is a great place for any age from what I could tell. As I mentioned, we stuck to one part of the park. Our plan was to do as much as we could and then go back to the hotel for a massive group nap before the party that night (see below). We arrived at 8am and were one of the first to enter the park at 9am. They do a quick little opening celebration at 8:45am too. Everything I read said to get there as early as you can, and I'm so glad we did. We barely waited for anything and made good use of the FastPass system to meet Rapunzel. Being that our girls love the Disney characters, we tried to stick to the new Fantasyland part of the park. We met many characters and did whatever rides would work in between as you can see from the pictures. 1) The new experience with Belle from Beauty and the Beast. The kids each get a part in telling the story of Beauty and the Beast. Seth even got to be a guard! This was the very first thing we did and the girls just loved it. 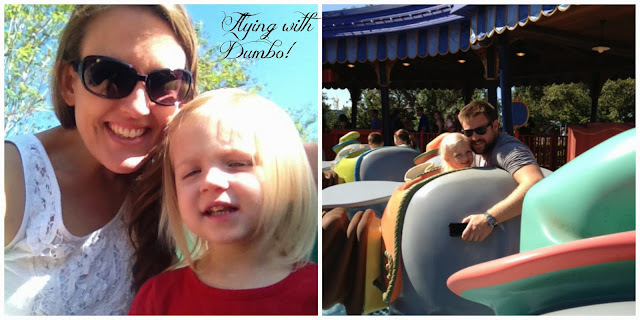 2) Of course, one of the old favorites is the Dumbo ride even though my girls have no idea who Dumbo is. The best part about this ride is that instead of waiting in line they give you a pager and you wait in a playground area. Brilliant! 3) Lastly, for both the day and the night portion of the Magic Kingdom the girls really enjoyed the parades. They danced and laughed at the characters. Evie even blew them kisses! * Our not so favorite - I would strongly suggest NOT doing the 3D movie called "Mickey's Philharmagic" if you have small kids. Both girls were pretty frightened by it and Evie was randomly scared the rest of the day! It presents itself as a very little kid friendly show, but it was not. We decided a week before going that we were going to do this party. It runs from 7pm- midnight some nights in October. 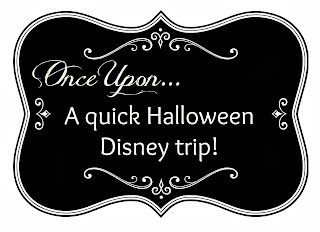 We not only got to go back and do rides we missed, but we also saw parades, fireworks, and did some trick or treating. 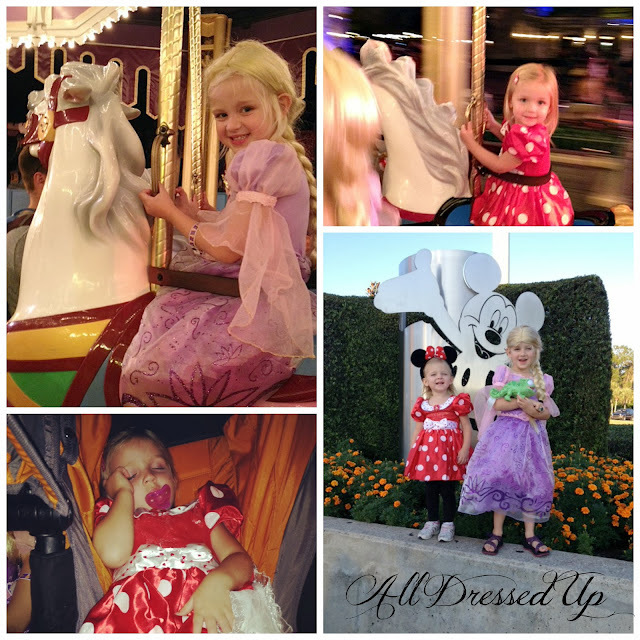 The girls dressed up and had an absolute blast. During the parade many of the characters are dressed up for Halloween too which Lila found to be very amusing. So, the whole reason we did this trip was because Seth is a Hilton Honors member and they offered the hotel to him at an insanely cheap rate. That meant that on Saturday we had to go to a sales pitch for their timeshares. We were lucky enough that Seth's mom was in Orlando visiting her boyfriend. She took the girls to the pool and hung out with them while we went to the meeting. Seth and I got to go to lunch and have some time to ourselves too! This trip was the first trip we have done where the bulk of it was just the four of us. Usually when we travel we go with family which is amazing as well. But, there's really something to be said for taking time to travel with just your immediate family. We had so many priceless moments that are irreplaceable. It looks like you guys had so much fun. My SIL just went (a week before you) and she said the same thing - do not do Disney in the summer. But who is Lila dressed up as?! This is a Disney Princess I do not know! Reading this post made me feel like I was right there with you!!! Thank you, Jana, for sharing it in such detail. I so remember our trips to Seaworld and Disney. Those are memories that you'll never forget. I'm so glad you guys did this. I love you all!! Jana, it looks like you all had a wonderful time despite it being such an impromptu trip. 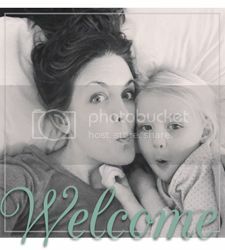 Some of my favorite childhood memories were those spontaneous trips, and I'm sure your girls will look back (even if only in pictures) and remember it all so fondly! I'm glad you had such a great trip! I hope to make it there with my soccer team of boys one day! !